Prince Harry may have thrown a secret party at Buckingham Palace! Queen Elizabeth reportedly is furious and demanding Harry give up the bachelor life. 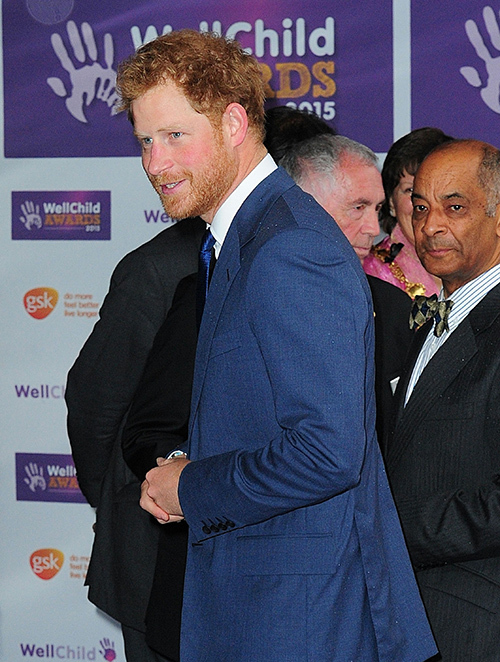 Does Kate Middleton agree that it is time for the ginger-haired prince to get married and start a family? An unnamed former bodyguard has come forward and is spilling secrets about Prince Harry. This former inside source told OK! that the prince once threw a private get-together at Buckingham Palace – the guest list included four models and Harry. The prince and the four models drank a lot of champagne and ran through the halls of Buckingham Palace – and no one in the party of five was wearing any clothing. Did Harry really think granny wouldn’t hear about what went on at Buckingham Palace? Queen Elizabeth doesn’t seem to mind if grandson Harry has a party or two now and again, but reportedly when she found out about this particular party Queen Elizabeth was furious with Prince Harry. This latest Palace party revelation shouldn’t surprise anyone – Harry spent most of his time naked during a drunken weekend in Las Vegas in 2012. The crazy weekend was memorialized on video and with photographs. Queen Elizabeth believes It’s time for Prince Harry to give up his bachelor life and get serious about settling down. It really isn’t a secret that Queen Elizabeth has been pushing the fifth-in-line to the throne to choose a bride. Kate Middleton and Queen Elizabeth may not always see eye-to-eye, but the Duchess of Cambridge whole-heartedly agrees with her grandmother-in-law! The Duchess is thankful that Prince Harry has taken her side on many occasions, especially when Camilla Parker-Bowles decides it is torture Duchess Kate time. But Kate is backing Queen Elizabeth on this one. Not only does Princess Kate want Harry to be happily married, she would love to have a female ally inside the Palace walls. There has been much speculation over which lady would make the perfect bride for Prince Harry. Ex-girlfriends’ Chelsy Davy and Cressida Bonas’s names come up constantly. The Duchess of Cambridge and Queen Elizabeth may also agree on another thing – Chelsy Davy would make a perfect princess for Harry. The couple dated for seven years and keeps in touch – Harry and Chelsy have even been spotted together on a few occasions. What do you think? Is it time for Prince Harry to trade partying for married life? Apparently Kate Middleton and Queen Elizabeth think so. How much longer before there is a Royal engagement announcement? Prince Harry and Camilla Thurlow Getting Engaged, Kate Middleton and Queen Elizabeth Love Camilla! Prince Harry Dressing Cressida Bonas Like Kate Middleton To Prove She’s The One? Prince Harry’s Girlfriend Thinks Kate Middleton’s A Trophy Wife, Doesn’t Want To Be Like Her! Kate Middleton Chooses Prince Harry’s Future Wife: Insists Chelsy Davy ‘The One’ – Royal Wedding Soon?